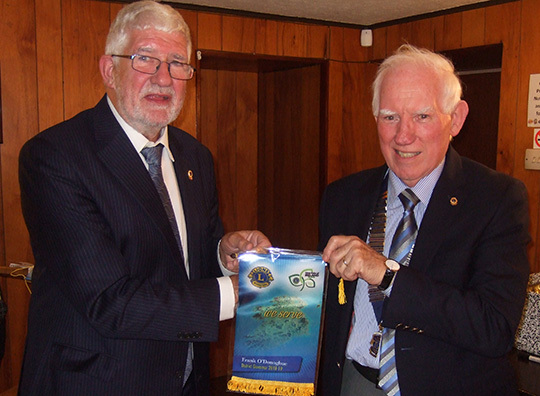 Frank O’Donoghue, District Governor of District 133 Ireland, recently paid a visit to Downpatrick Lions Club. 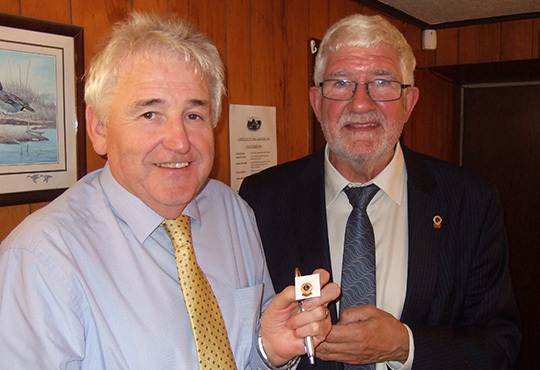 He was welcomed to the meeting by Club President Sean Carvill, who is serving his fourth term in office. DG Frank O’Donoghue said he enjoyed the evening and was enthused by the various projects Downpatrick Lions have planned for the future. During the meeting Downpatrick Lions agreed in principle to a four-year commitment to support the Children’s Safe Area in the Syrian Refugee camp in Lebanon. As well as this, the club also decided to make an immediate donation to the Lions Clubs International Foundation Indonesian Disaster with a cheque for £500. 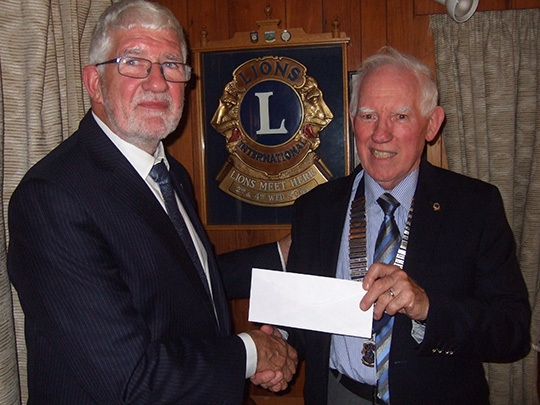 Downpatrick Lions Club President Sean Carvill presents a cheque for £500 to District Governor Frank O’Donoghue for the Lions Clubs International Foundation Indonesian Disaster. 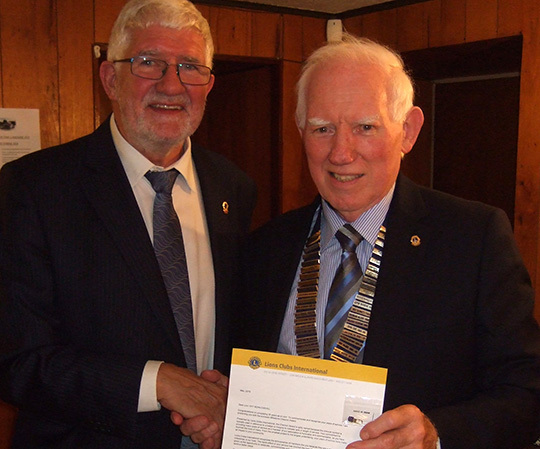 District Governor Frank O’Donoghue presents Downpatrick Lions Club President Sean Carvill with a thirty-year membership chevron. 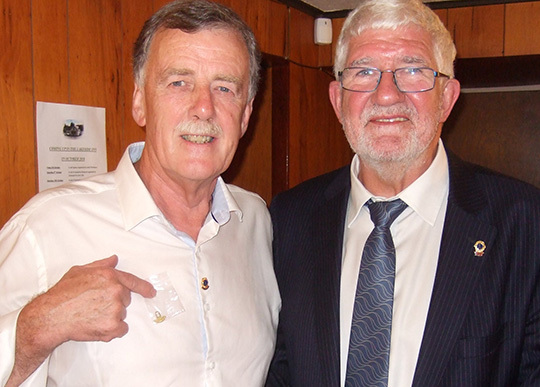 District Governor Frank O’Donoghue presents Downpatrick Lion Brendan Kearney with a Zone Chairman’s Badge. District Governor Frank O’Donoghue presents Downpatrick Lion Seamus McMullan with with a District Governor’s Award for his work with vulnerable people. District Governor Frank O’Donoghue presents Downpatrick Lions Club President Sean Carvill with a banner.